Well, first of all you can have your eggs benedict and eat the Hollandaise sauce too. There’s some simple methods that will help to survive your craving without loading yourself with calories. So which classic recipe should you choose? I’ve tested this one at least 50 times and it’s never failed me, plus it has the advantage of being super easy. There’s just four main ingredients for the Hollandaise sauce. Then just marry the sauce to poached eggs on English muffins. A great tweak to the muffins is to use whole grain, or whole wheat muffins. You may already like or even prefer the taste of whole grain breads, but if you don’t, you won’t notice the taste when you add the Hollandaise sauce. Whole grains are better than less than whole grains, at the very least for their fiber. They make you feel fuller longer and aid digestion quite a bit. So offset your guilt with whole grain. I saw this once in a Sunset magazine article years ago, when I craved this dish enough to want to make it on my own. I still remember the basic ingredients. To prepare, slice the butter into multiple squares for melting. You can either do this in the microwave in a bowl or in a small saucepan on your range. I choose microwave. 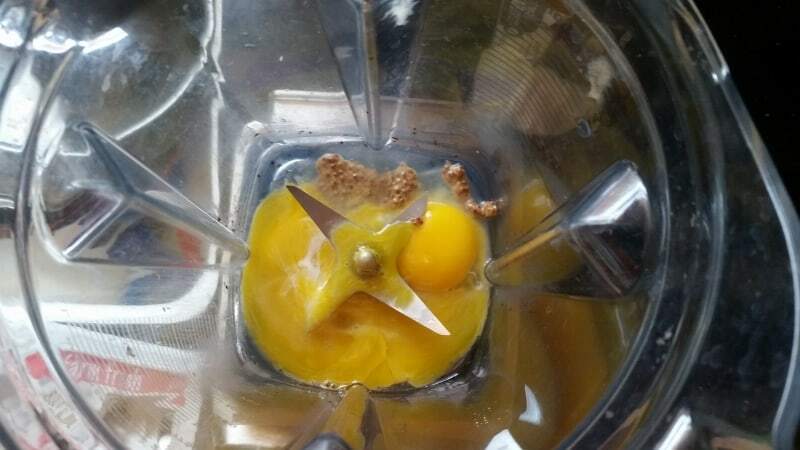 Meanwhile, combine the other ingredients in a blender and blend. After they are blended together, reduce the blender speed, remove the center plastic cover in the blender cover if you have one (the “jar lid center cap”). Then, slowly pour the hot, melted butter into the mixture. This will start to thicken the Hollandaise sauce until all of it is poured in. There, now you have the key component, you’ve made your Hollandaise sauce, congratulate yourself. OPTIONAL ADDITION: A nice touch of citrus will balance some of the rich flavor from the fats in this dish, so in addition to the lemon juice in the hollandaise sauce, grate some of the lemon rind. Use a grater, the finer the mesh the better to grate the yellow portion of the lemon rind that you’ve just used for the lemon juice to add some of the rind directly to the blender as an added ingredient. Use anywhere from one quarter of the rind to even all of it, I use about a one-third of the surface area of the rind for added lemon zest flavor that is still pretty subtle. You poach them. 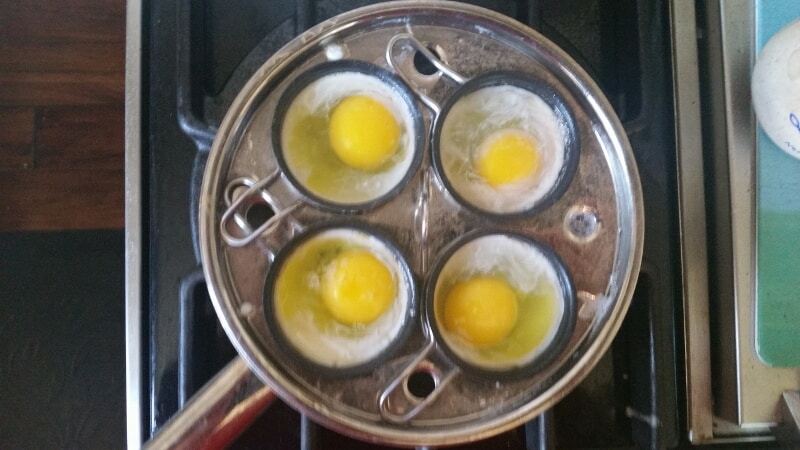 I’m using an egg poacher on the stovetop. Alternatively, you can poach eggs in a large non-stick saucepan. 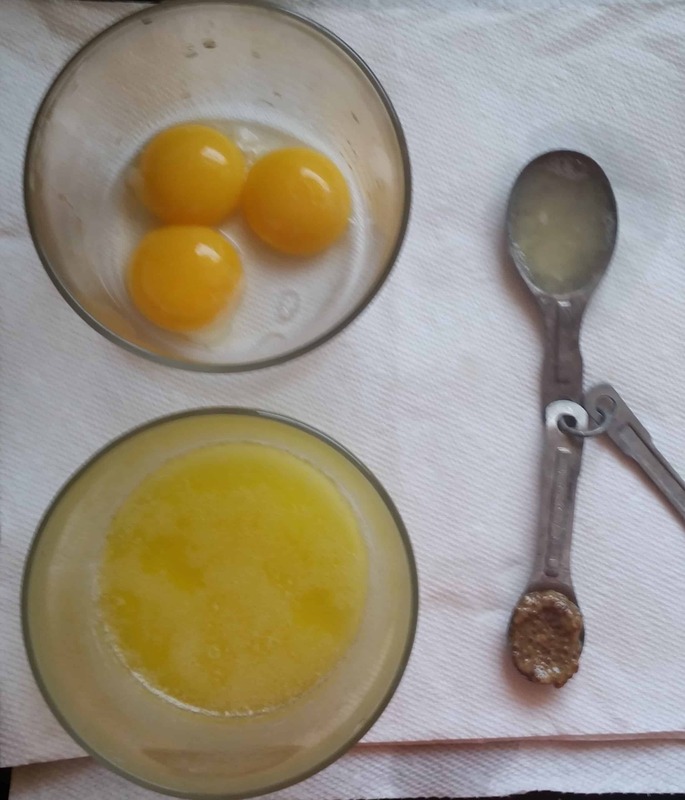 You do that by simmering about an inch of water with a little salt and some vinegar (to keep the egg from spreading). Then, add the eggs, cover the pan with a lid, then turn off the heat. Let them cook from the heated water for up to 7 minutes. While your eggs are poaching, you can toast your English muffins. Once toasted, prepare the muffins on your plate. One muffin for each poached egg. Meanwhile, a nice compliment to this dish and most others, is crispy bacon, traditionally, this dish calls for Canadian bacon as a component to it and stacked on the muffin as the first ingredient. I choose the third option, each has their own advantages. For me, it’s easier to put the bacon in the microwave and forget about it (mostly) as I prepare the rest of this dish. I just make sure to cover the bacon in paper towels to capture the grease and, importantly, know how long I need to cook. Power settings and other microwave factors, can vary quite a bit, so if it’s your first time microwaving bacon, just proceed slowly and watch it after about two minutes. The number of bacon slices can also change your required cooking time. I’m cooking six slices and know my microwave needs about two and a half minutes. You may need to take a look at under-cooked portions and move them, even if your microwave rotates. Alternatively, the fruit option. It doesn’t have to be a slice of melon or an orange. Make a mini fruit salad by choosing five or six fruits and bind them together with your favorite yogurt, plain or flavored. I like to use blueberries, whatever melon is available, sliced banana pineapple and kiwis. You can choose any other fruits you may prefer. Just put them in a medium sized bowl and add a 6 ounce standard sized single container of your favorite yogurt. I use a non-sugar plain yogurt since for me it’s just there to bind my favorite fruits together and I don’t want to muddle the tastes or add empty calories. Then just mix together and serve in small bowls with your eggs benedict. Now, back to the main dish. You now have your poached eggs, cooked to your preference, I like mine “runny” or soft boiled. You can choose to cook longer for a harder yolk. Place one egg on each muffin and plate it. This recipe is designed for four eggs with four english muffins, and generally serves two people. 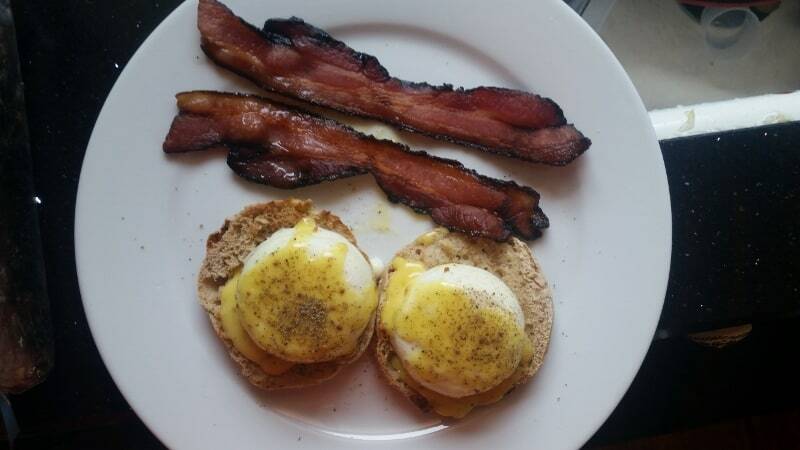 Adjust for more or use the extra Hollandaise sauce for more guests (see below for other extra uses). Now comes the moderation part. 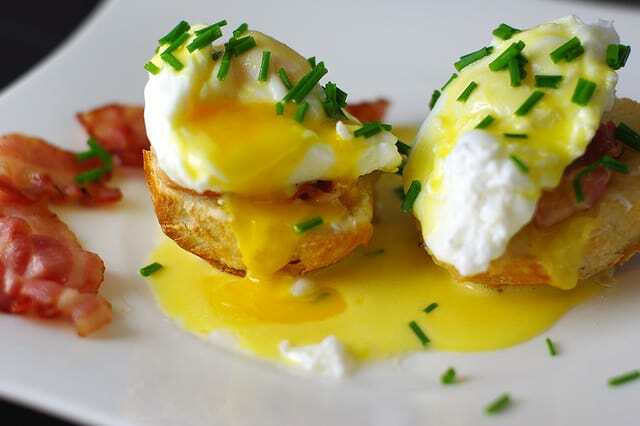 The Hollandaise sauce that you’ve just made is very rich. You can taste it now to confirm that. So, you just don’t need that much of it. Just adding a spoonful to each egg already gives you all of the flavor you’d want from the hollandaise sauce. You really don’t need any more than that. But, if you prefer to splurge, go ahead. Salt and pepper to taste and go ahead and serve. If you’ve only used a small amount of Hollandaise sauce on your eggs benedict, you’re now forced to find some way to use the rest of it. The benefit of using a small amount is this leftover excuse to make other dishes. Just refrigerate the extra Hollandaise sauce for later, hopefully later that same day. For Hollandaise sauce, the default alternatives for a side dish is asparagus and salmon for the main dish. There’s nothing wrong with either or both, there’s your dinner menu. Alternatively, you can use your extra Hollandaise sauce for almost any steamed vegetable, especially those that you know you need to eat but don’t want to. But really, your Hollandaise sauce can be used with almost any meat, beef, chicken or pork as well as most fish as a sauce component. Feel free to experiment with what you like best and use a similarly smaller amount of sauce. This way you’re getting two or even three uses for your Hollandaise sauce without worrying about potential caloric overload. Alternatively, if you’re still craving eggs for dinner, check out this recipe. It looks delicious and also a creative idea cooking with eggs.